The material presented in this publication is necessarily rich and layered and could be discussed in multiple ways. In this final chapter, we take up three perspectives or contexts where we find that the projects can contribute insights or directions. First, we reflect on how this webtext has been an experiment in designing ways for disseminating and communicating rich, collaborative, practice-based research. Second, we look at how the project can be seen as a cultural and discursive approach to practice-based design research. Third, we discuss how Satellite Lamps offers a new perspective on understanding networked city life. Traditionally, academic design research dissemination has happened primarily through journal articles, conference papers or books. Such ways of publishing with their text-based focus do not make use of the communicational potential within design, and lack means to communicate a multilayered design research process. The process of creating this publication involved making use of the interaction design knowledge and skills within the team. Through this collaborative work, we have turned interaction design practice toward communicating about interaction design research. As such, the process of creating this publication has been as much about designing as it has been about writing it. The design and development of this publication has been about using the skills and tools of interaction design to find ways of talking about and presenting a design research process. The richness of this process, involving different media (film, notebooks, and a host of images), and focusing on the visual and temporal narrative, allowed for the richness of the work to come to the surface. This complexity would not have been possible in traditional means of academic publishing. This webtext has presented a layered account of a rich design process that can be read in different ways. We have taken a pragmatic approach to the design of this webtext and made use of the “affordances of the Web” (Ball, 2014, p. 92). Our focus has been on making such a long piece readable and consumable. This process involved researching and analyzing existing long-form online publications such as Medium and The Guardian’s NSA Files: Decoded, looking at aspects such as readability, typography, length of paragraphs, transitions, flow and the use of images, galleries, and video. We ended up with a design that uses large, clear type and extensive inline video and image galleries with superimposed captions. In our webtext, the reader regularly shifts between vertical scrolling, digging into the image galleries and continuing horizontally to the next chapter. We read vertically and horizontally; there is considered text and narrative in both dimensions, and we also continuously shift between text and image. At the center of the publication is the final film featured in the introduction. All of the work thereafter tells the story of moving towards the realization and the production of the film. The film as such acts as an anchor around which all the reflections and the design work presented in this publication revolve. However, assisted by social media, the film will also independently travel the Web, taking part in other contexts and discussions outside this publication. Such travellings are what we have been aiming for throughout this process. GPS is one of the few direct ways in which we are interacting with satellites. As we have discussed, GPS has become a very common, often expected and normalized feature of everyday life in cities. However, if we accept that design practice is very much constructed and constrained by its use and understanding of materials, then an understanding of GPS seems critical to our design of products and services that rely on it. We argue for a design practice that engages and raises issues with these underlying technological materials. Interaction design research and practice has discussed seamlessness (e.g., Ratto, 2007) and seamfullness (e.g., Chalmers & MacColl, 2003). These debates have often focused on the invisibility of technologies and the covering up of seams between systems. However, the problem with GPS is not only that the technology itself is invisible, but that this technical invisibility fosters an additional form of cultural invisibility (Hjelm, 2005; Martinussen, 2013) that leads to a lack of symbolic meanings and language. GPS is symbolically underdeveloped. It’s a sophisticated technology, but we haven’t got an equally sophisticated language for understanding it. We end up with unhelpful folk mythology (Poole, Le Dantec, Eagan, & Edwards, 2008) and development tools that limit the application of GPS to primarily locating oneself on a map. Satellite Lamps exemplifies and argues for a discursive and reflexive design practice. Such an approach builds on the legacy of critical design, but where critical design is most concerned with “a critique of the prevailing situation through designs that embody alternative social, cultural, technical, or economic values” (Dunne & Raby, 2001, p.58), we take a more discursive (Arnall & Martinussen, 2010; Morrison, Arnall, Knutsen, Martinussen, & Nordby, 2011) route where we aim to explain and remind rather than to emphasize the critique. To be able to articulate how GPS takes place in the city, we also need to deeply examine and understand GPS as designers. In the chapter Walking with Satellites we reveal some of the rich cultural history of GPS technology that sets up a space in which design can be about engaging in the meanings and language around the technology. Further, through our material explorations and film and fieldwork, we reveal some of the material properties and conditions of GPS. Together they show a technology that is not a given and stable object, neither culturally or materially. As such satellite lamps act as objects of revealing that anchor a discussion about how GPS takes place in the city and everyday life, but also how we engage with the technology as designer. This, hopefully, reminds people of a taken-for-granted and out-of-sight technology, and opens it for new perspectives, critique, and further investigation. We argue that this kind of design research practice is necessarily sprawling, multilayered, and multimediational. It is a practice that constructs many different kinds of visual and mediated representations that are created from a broad collaboration of design and media skills. Taken together, it represents a culturally focused approach to design and technology (Balsamo, 2011). In our approach, we use design not in the traditional sense of finding new or better uses of a technology, but we use the methods, skills, and knowledges within design to understand and communicate about the technology. Here we see the satellite lamps exhibited as a part of the exhibition DREAD - Fear in the Age of Technological Acceleration. Our intimate interactions with the GPS constellation is an example of how urban landscapes are shifted in material, spatial, and social ways by networked location technology. Everyday city life is being shaped by the technologies and devices in our pockets, creating new social and spatial practices. These products are made possible by vast technical infrastructures and complex systems that we rarely see and that we often know very little about. GPS is a good example of how these systems are often invisible, often obscure or go unseen, and are becoming increasingly mundane. We believe technology is at its very best when it’s invisible. Today GPS is a part of the corporate technology story about smart cities, seamlessness, and invisibility (Greenfield, 2013; Martinussen, 2013). GPS is written into the vision of ubiquitous computing that underlies much contemporary discourse and envisioning. The dominant narrative about networked city life is about accuracy and efficiency. But, unlike most of the other promised technologies within the smart-city discourse, GPS is not an envisioned technology of the future. It is a highly contemporary technology with a rich cultural history. It is spatial, it is messy, and it is almost everywhere. One of the many lines running through the history of GPS is interaction design. It is one of the key elements in how this deeply militarized technology has become a taken-for-granted part of urban life. The Clinton Administration removed the selective availability of the technology, and thereby made accurate GPS available for the civilian world, but it was companies such as Garmin and Tomtom that put GPS into people’s cars. Moreover, Steve Jobs’ “Schoom . . . and here we are” was not a technological innovation at a scientific level, but a reimagining of how and who could use GPS as a mobile technology, including who could design with it. Smartphone GPS handed the technology over to all designers, making it ubiquitous, but not better understood. [T]he complex technologies the networked city relies upon to produce its effects remain distressingly opaque, even to those exposed to them on a daily basis. This project is about finding a way of getting at the cultural and material realities of GPS technology, and about developing understandings about it through design. Satellite Lamps shows that GPS is not a seamless blanket of efficient positioning technology; it is a negotiation between radio waves, earth-orbit geometry and the urban environment. GPS is a truly impressive technology, but it also has inherent seams and edges. It has material qualities, as well as cultural ones. As suggested in Walking with Satellites, GPS is a cultural phenomenon shaped by politics, economics, and everyday life, yet it is largely framed as a technological system. By revealing the GPS as an everyday, spatial, and highly physical material of our contemporary urban spaces, we point at how technology, culture, economy, and warfare are all intertwined in networked city life. Apple. (2012, March 7). Apple special event March 2012 [Video podcast]. Retrieved December 4, 2013, from iTunes Store, Apple Keynotes (HD). Chalmers, Matthew, & MacColl, Ian. (2003). Seamful and seamless design in ubiquitous computing. Proceedings of workshop at the crossroads: The interaction of HCI and systems issues in UbiComp . CiteSeer. Dunne, Anthony, & Raby, Fiona. (2001). 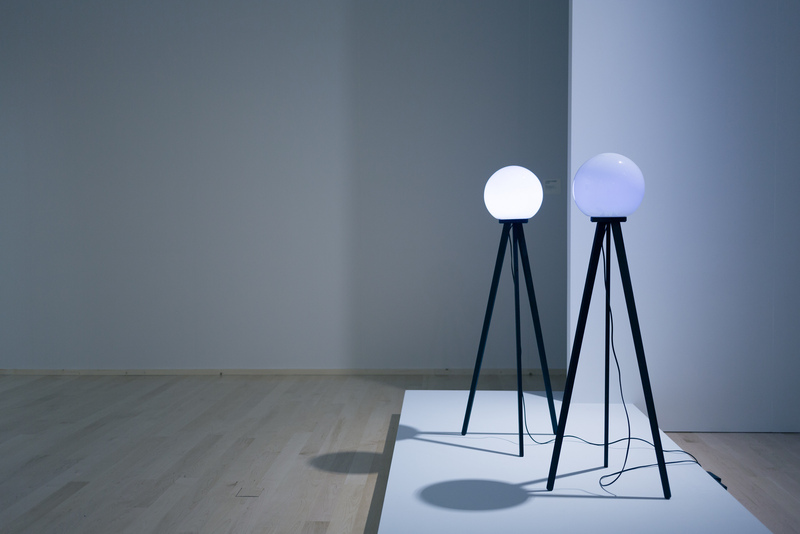 Design noir: The secret life of electronic objects . London, England: August. Greenfield, Adam. (2013). Against the smart city (1st ed.). The city is here for you to use. New York, NY: Do projects. Hjelm, Sara Ilsted. (2005). Visualizing the vague: Invisible computers in contemporary design. Design Issues , 21(2), 71–78. Ratto, Matt. (2007). Ethics of seamless infrastructures: Resources and future directions. International Review of Information Ethics , 8, 20–27.